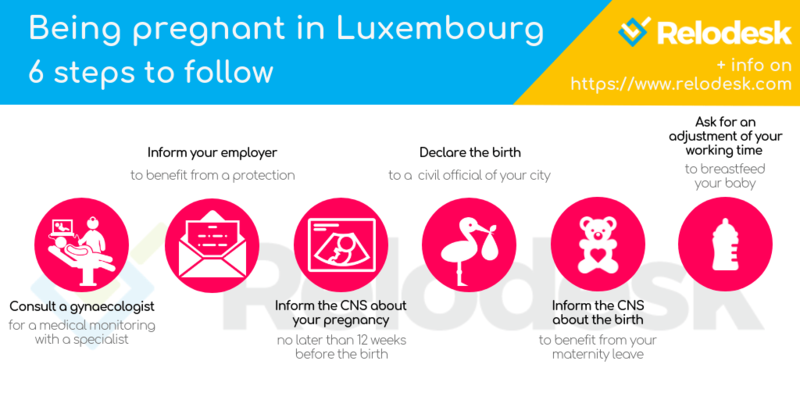 Every woman working legally in Luxembourg as a resident or a border dweller, is entitled to the maternity leave. This right concerns all Luxembourg contracts of employment, including contracts of apprenticeship, student seasonal contracts and self-employed women. Pregnant women benefit from a particular status of protection in Luxembourg as soon as their employer is informed about their pregnancy and this, till the end of the breastfeeding period. This information must be given at least 12 weeks before giving birth by means of a medical certificate giving evidence of the state of pregnancy and notifying the date expected for the childbirth. This medical certificate will be sent by registered mail or delivered personally to the employer in exchange for signature with date of reception. The employer will redirect this medical certificate to the appropriate health insurance fund for information. The prenatal medical examinations can be realised on the working hours, without loss of remuneration. During a recruitment process a pregnant woman does not have to indicate her state. In case of a permanent employment contract with a trial period, the trial period is suspended during the pregnancy until departure on maternity leave. The trial period will start again 12 weeks after the childbirth. The working time or the job will temporarily be rearranged by the employer, if necessary, in agreement with the occupational medicine and it is true without loss of remuneration. In case of work exemption, a pecuniary compensation will be paid to the pregnant or breastfeeding woman by the health insurance fund. A pregnant or breastfeeding woman cannot be dismissed with advance notice and it is true from the moment the employer takes note of the pregnancy until 12 weeks after the birth. Please note that dismissal for gross misconduct can apply. At the end of her maternity leave, and without any advance notice a salaried woman can break her contract of employment in order to take care of her child. 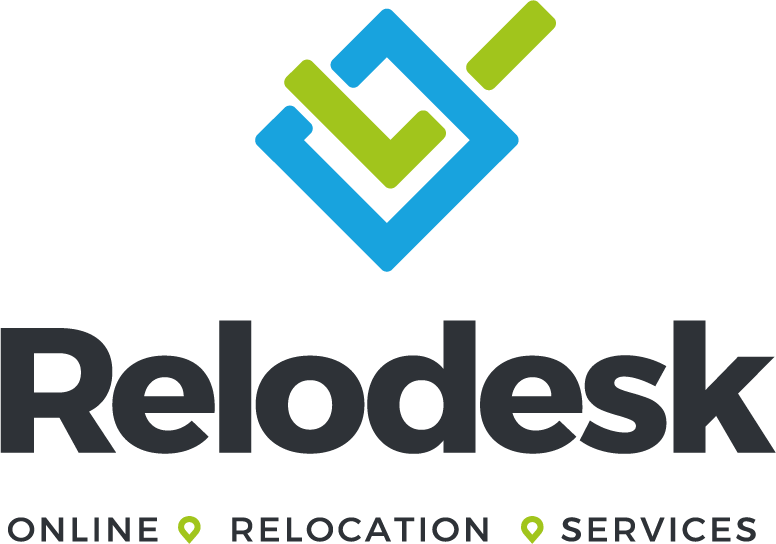 She then benefits from a priority of rehire during one year as soon as the company opens a procedure of hiring for a post for which the applicant has the necessary skills. To be able to benefit from a maternity leave, the employee must have paid the contribution beforehand during at least 6 months to the Social Security during the last 12 months. Postnatal leave 12 weeks after the date of delivery. In the case of premature birth, the leave not taken before the birth is added to the postnatal leave up to a maximum of 20 weeks. In the event of a birth after the scheduled date, the duration of postnatal leave may not be reduced. The maternity leave gives rise to the annual usual days off. These will be postponed at the end of maternity leave. The maternity leave gives rise to the discount of age(seniority) of the employee. The salary for the maternity leave is taken care of by the Caisse Nationale de Santé and equals the gross salary of the previous months, the limit being that of 5 times the minimum wage. A birth certificate must be sent to the CNS as soon as possible after the childbirth. The nursing mother is entitled to two 45min breaks for breastfeeding during workday, as long as she goes back to work at the end of the maternity leave. For more information or for all the particular cases, consult the site of the Caisse Nationale de Santé. Who can request a parental leave? After the birth of a child, the 2 parents, provided that they are affiliated to the Grand Duchy of Luxembourg and work there, are entitled to a parental leave with the following conditions: except particular cases, one of the 2 parental leaves has to begin from the end of maternity leave, the other one must be taken at the same time or later, before 6 years of the child (12 years in the case of an adopted child). The request for the parental leave must be sent by the employee to their employer at the latest 2 months before the beginning of the maternity leave. The self-employed persons will address the CAE (Caisse pour l’Avenir des Enfants) within the same period. For more information or for any particular case, consult the cae.public.lu website. To know more about birth allowances and child benefit. 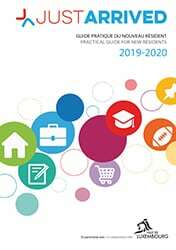 To know more about nurseries and childcare systems in Luxembourg. For any other question concerning the employment in Luxembourg.